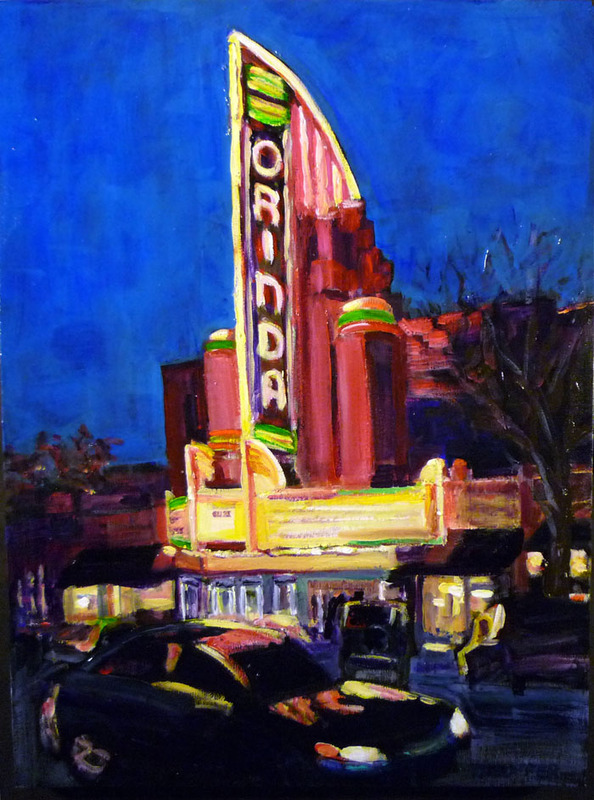 The marquee of the Orinda Theater glows in the town’s small central district. It is visible as you rush by on the freeway as well. A real icon. And a really beautiful night scape.